Trophy Winner 2016 International Wine Challenge – Best Margaret River Cabernet Sauvignon, Best Australian Cabernet Sauvignon, Best Australian Red Trophy Winner – Best Cabernet Sauvignon Australian Boutique Wine Awards. 95/100 James Halliday Wine Companion. Hand picked from 30 year old dry grown vines, ‘Gallagher’s Choice’ is a classic, full bodied Margaret River Cabernet Sauvignon. 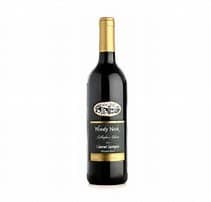 It is vibrant and complex with a nose of blackcurrant, eucalypt and well integrated French oak. The palate of dark berry fruits, herbs and cedary oak is tightly structured by the fine-grained tannins and acidity. Limited stocks available of the Award Winning 2013 Cabernet Sauvignon. Please contact us to check vintage availability prior to ordering.